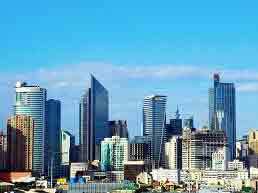 ﻿ 45 Real Estate Properties For Sale In The Philippines. SM touches the lives of the millions of Filipino people every day through its stores, malls, banks, hotels, and leisure facilities. Now, with the SM Development Corporation, Filipinos can live in style, comfort and convenience. SM Development Corporation, or SMDC, is committed to provide access to sumptuous urban living with its vertical villages. These vertical properties are always integrated with a commercial retail environment, with every residence connected to an SM Mall. Thus, its residents will always have access to a cosmopolitan way of living. 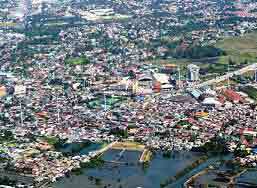 SMDC properties are strategically located in important areas across Metro Manila, and even Tagaytay City. With its strategic locations and its beautiful designs, SMDC has been awarded multiple times by the Philippine Property Awards (2015 Best Landscape Architectural Design for Shell Residences, 2015 Best Affordable Condo Development for Mezza 2 Residences, 2015 Highly Commended Best Mid-Range Development Resort/Highly Commended Best Landscape Architectural Design/Highly Commended Best Affordable Condo Development for Wind Residences, Grace and Trees Residences, and Green Residences, 2014 Best Residential Interior Design for Jazz Residences, and Best Mid-Range Condo Development for Jazz Residences). SMDC has also received notable awards from the Asia Pacific Property Awards Development because of Shore Residences, Shell Residences, SMDC Light Mall, Jazz Residences, Fame Residences, and Breeze Residences. From 2012 to 2015, Reader’s Digest has awarded SMDC with the Reader’s Digest Trusted Brand Award. Lastly, BCI Awards has awarded SMDC with Asia Top Ten Developers for SM Prime. Who are the people behind SMDC and SM Prime, in particular? It’s the Board of Directors, at the helm of SM Prime’s leadership structure. The Board of Directors ensures that the Company’s vision and mission is achieved in a way that upholds teamwork, integrity, innovation, hard work, focus, and sustainability. The Chairman Emeritus of SM Prime Holdings is the founder of the SM Group Henry Sy, Sr. while its Chairman is Henry T. Sy, Jr, responsible for the real estate acquisitions and development activities. Jose L. Cuisia, Jr. is its Vice-Chairman and Independent Director. Two Independent Directors are Gregorio U. Kilayko and Joselito H. Sibayan. The Board has a couple of Directors: Hans T. Sy, Herbert T. Sy, Jorge T. Mendiola, and Jeffrey C. Lim. Teresita Sy-Coson and Elizabeth T. Sy both serve as Advisers to the Board. SM Residences is the ultimate showcase of the SM Development Corporation. It provides premium choices which combine both style and luxury that the Filipinos dream of. SMDC will always offer greater value for money when it comes to SM Residences, since it has the middle-income market in mind. Despite this market projection, its developments will always be five-star, prime-value investments. Aside from value for money, SM Residences also offers options to complement the lifestyle Filipinos aspire for—luxurious and stylish, all the while giving them greater value for investment. Also, these first-class residences are always located right next to SM malls or even strategic locations ultimately accessible anywhere in the metro. SMDC, through SM Residences, will always ensure that you get amazing deals! SMDC offers suite living in the name of service. SM Residences has its own Property Management Services, in charge of leasing, general maintenance, and chambermaid services. With the Property Management Services, units may be leased even when you’re away, all according to your own terms and conditions. For a nominal fee, the staff will offer general maintenance and chambermaid services upon your request. These are value-adding services and are consistent with 5-star living. With the SM name, you’ll be assured of quality and a completion guarantee. With S Residences, you can live in an address where work meets play in Pasay. 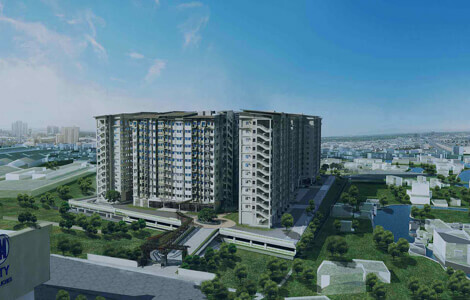 This is SMDC Premier’s first development nestled in the middle of the MOA Complex and the Entertainment City. Thus, you’ll find yourself living close to the thriving MOA business district, as well as the hottest bars, on-trend shops, restaurants, and entertainment spots this side of Metro Manila. Living at S Residences gives you access to the SM Mall of Asia and the world-famous City of Dreams Manila. To get instant access to any point in Metro Manila, hop on to the MRT and LRT stations. If you want to see performances which are world-class, go to the MOA Arena. If you need to go to a trade fair, the SMX Convention Center is nearby. What’s more, S Residences has stunning boutique-hotel designed lobbies and luxurious features and amenities. It has an adult and kiddie pool, a pool lounge, a cabana, a Chillscape Lounge, a zen park, an al fresco lounge, and multiple multi-function areas. 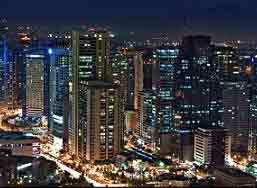 Makati is the Philippines’ premier business and financial district. This is the place where the most successful professionals aspire to build their careers and make a home. Find Air Residences right here in Makati, combining a truly convenient location with signature amenities giving you luxurious comfort. 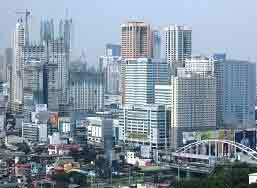 Strategically located off Ayala Avenue, it’s in the Malugay and Yakal streets of Barangay San Antonio. 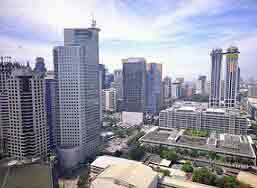 It’s conveniently near to the headquarters of numbers of multinationals and the Philippines’ top corporations. It’s also near SM Makati, SM Hypermarket, and some of the best schools like the Colegio de San Agustin and Assumption College. It’s nearby graduate schools like the Ateneo dela Costa campus and the Asian Institute of Management. Get a dose of culture with the Ayala Museum and the RCBC Theater. Live a healthy and safe life with hospitals like the Makati Medical Center. Inside, the 7th floor has office spaces and is the amenity floor. It has a reflective pool, a terrace, seating alcoves, a pool/billiards table, a game alley, a kids’ playground, and a sports terrace. On the 8th floor, you can find the leisure and lap pools, a pool island and a pool pavilion, a sun deck, a barbecue terrace, a spa, a function room, another pool for kids, a jogging/walking trail, and a yoga and exercise lawn. 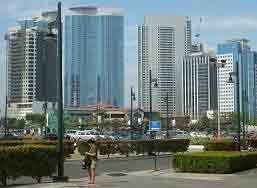 At the heart of Roxas Boulevard is SMDC’s newest Premier Development, Coast Residences. It promises a lavish lifestyle giving grand views of the majestic Manila Bay sunset and the Metro Manila Cityscape. Inspired by Bali, Indonesia’s top hotel interiors, it also has a stunning exterior. Setting the standard for leisure, it has the best amenities and features. In terms of transportation options, residents will have easy access to public transit. It is right by routes for public and private vehicles. 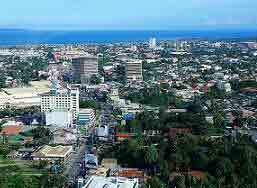 All because Coast Residences has a premier location along Roxas Boulevard. Thus, enjoy a short drive to Manila and Makati. You can also immerse yourself in world-class entertainment and culture! 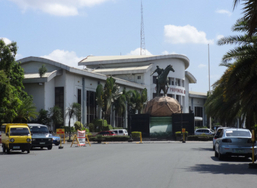 You will be near museums, the CCP, historic parks, and endless options in Manila. Stroll around the Baywalk or go for a night out aboard the Manila Yacht Club cruise. Experience history in nearby Intramuros or entertain yourself with options like the SM Arena and the SM Mall of Asia. Want to live a life of glitz and glamour? With gold curtain walls, Fame Residences is standing proud in Central EDSA Mandaluyong. Intended to provide you with the utmost leisure and opportunities for you to create unforgettable experiences, it has the best features and amenities. Another significant feature is its proximity to business districts and multiple hotspots in the city. It’s easily accessible to any mode of transportation, and it’s five minutes away from the nearest MRT station. It’s truly a stone’s throw away from the EDSA thoroughfare! Situated at the heart of Makati and Ortigas, two major business districts and bustling metropolitan hotspots, Fame Residences will allow you to live the high life. It’s near SM Megamall and SM Makati, so you know that you’ll always be close to some of the city’s ultimate shopping centers. Right at your doorstep are commercial establishments, so you don’t have to travel far to meet your needs. 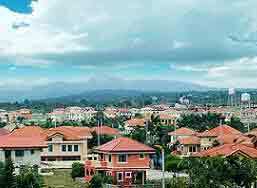 SMDC Properties have multiple, strategic locations across Metro Manila; it even has locations in Tagaytay! From the Southern point of the Metro, to the Northern tip of Metro Manila, you can find an SM Residence that will fit your budget and your lifestyle. In the South in the city of Las Piñas, you can find South Residences, which offers a seamless fusion of a great lifestyle and your busy life. It is located in the Southmall Complex, so it provides five-star features and amenities, premium living, and endless choices for shopping, dining, and entertainment at SM Southmall. 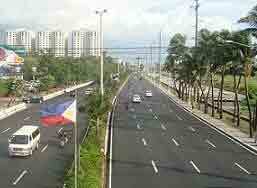 It’s easily accessible through the South Luzon Expreessway, Alabang-Zapote Road, and the Manila-Cavitex Expressway. Its features and amenities are its adult and kiddie pools, its gazebos, its lush landscaping and garden seats, its grand lobby, and its multiple function rooms. In nearby Paranaque, SMDC has developed prime properties: Spring Residences, Field Residences, and the French-inspired Chateau Elysee. At Spring Residences, you can nurture a fruitful life in a property that speaks of sophistication and elegance. Its lobbies are hotel-inspired, and it has a large lap pool. Situated in Bicutan, you can easily access Chateau Elysee and nearby Makati, BGC, and Filinvest Alabang CBD through the South Luzon Expressway. Your needs and options are also within reach with nearby SM Bicutan. It’s inspired by the French Mediterranean, so it has brick-lined pathways, as well. It has an automatic fire detection and an alarm system, an efficient standby generator set, a centralized overhead water tank, and a garbage disposal area per floor. It even has courts for basketball/volleyball and tennis, a fitness gym, pools, a children’s play area, and a clubhouse with function halls. Field Residences is the seat of five-star suburban living for growing families. With its excellent amenities, you can relax and bond with your family. 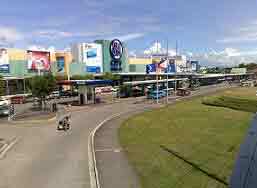 What’s more, you will have a wide array of shopping options because SM Sucat is right in front of the property. Additionally, international and local airports are minutes away, as well as the Entertainment City. With its individual mailboxes, its 24-hour security, spacious lobbies, and standby generator set for common areas and select unit outlets, you can live comfortably. With its children’s play area, swimming pools, open playfield, sports courts, and jogging trails, these amenities will make sure that you will have a complete lifestyle. In Pasay, SM Residences are in abundance with Shore Residences, Shore 2, Breeze Residences, Shell Residences, and Sea Residences. Offering the finest in resort living, Shore Residences has an exclusive beach-like amenity located at the SM Mall of Asia Complex. Since it’s near the SM Mall of Asia, shopping is within reach. Because it’s near the Entertainment City, you will have a thriving array of activities and attractions. As for the building facilities, it has grand lobbies, numerous elevators, 24-hour security, an automatic fire detection and alarm system, and a stand-by generator set. It also has lots of fire exits, a centralized cistern tank, and a sewage treatment plant. Its amenities are in abundance with a commercial strip, its swimming pools, lush gardens, multiple function rooms and lounge areas, a jogging trail, and a playground for your kids. Shore 2 Residences is a three-tower, eighteen-storey high property located within the SM Mall of Asia Complex. You can bask in its panoramic views at every angle and marvel at the development’s luxury. You can soak up the sun with its multiple swimming pools stretched throughout the amenity deck. You can also take a quick, refreshing stroll through the landscaped gardens. It even has a play area, lounge areas, and function rooms. Be fit with Shore 2’s jogging path. Finally, bask in the luxury and glory of Shore 2 Residences with its grand lobbies. Accessible via the MRT, it’s easy to reach by bus, taxi, or your own private vehicle. 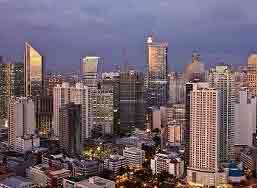 It’s close to the Manila and the Makati CBDs, as well as the Entertainment City. 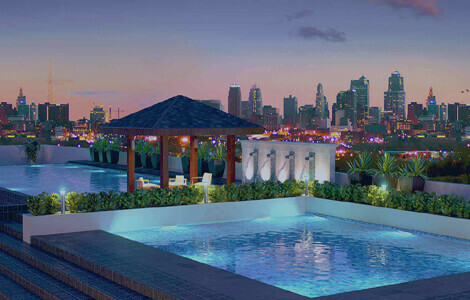 Get a splendid view of the magnificent Makati skyline with Breeze Residences. Enjoy an exciting life with its commercial area conveniently located on the ground floor. It has nine elevators and a stand-by generator set for Breeze Residences’ common areas. It even has a centralized garbage collection area. Additional features include an automatic fire sprinkler system, a mailroom, an overhead water tank, and reliable 24-hour security. Apart from a children’s play area, a landscaped area, and covered gazebos, live magnificently with Breeze’s grand lobby, pool deck, swimming pools, sky lounge, and penthouse lobby. Located right at the heart of the Mall of Asia Complex is modern resort-inspired Sea Residences, a bold new concept in condo living. Experience a year-round staycation in Sea Residences, as it’s set against the backdrop of Manila Bay and the stunning Makati skyline. With its six towers, you can live an urban work-life balance with ease. It has an automatic fire detection and alarm system, as well as a generator set on standby. It has a sewerage treatment plant and a centralized cistern tank. It has multiple, landscaped pools, a children’s play area, and a multipurpose room. At the heart of the Entertainment City and the Mall of Asia Complex is the 2.2-hectare resort residential complex Shell Residences. Amenities are resort-inspired, like the adult pool and kiddie pool, pool gazebos, a jogging trail, and a large clubhouse. It even has a modern tropical garden, a main gazebo, and function rooms. Enjoy services like five passenger elevators per four buildings, a centralized cistern tank and sewage treatment plant, 24-hour security, an automatic fire detection and alarm system, a back-up power system, and an eco-friendly rainwater collection for landscape watering. Bask in the magnificence of its grand lobbies and experience fun and dining with its restaurant/commercial strip. Located right beside De La Salle University on Taft Avenue is SMDC’s Green Residences in Manila. Built for students, it has study and game rooms, a gym, function rooms, a lap pool and a kiddie pool. You can find that your child can easily focus on her studies and work towards a promising future. Feel safe and secure with its 12 elevators, an automatic fire detection and alarm system, a stand-by generator set, a sewerage treatment plant, a mailroom, a garbage disposal area on every floor, and a commercial area on the ground floor. 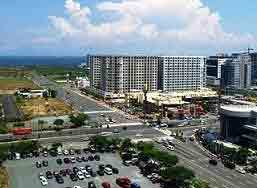 In bustling Quezon City, SMDC has multiple developments. The first is Berkeley Residences, located along Katipunan Avenue, right across the Ateneo de Manila University and Miriam College. IT’s also within walking distance to multiple specialty restaurants and shopping centers. Your basic needs will be made available with a Savemore on the ground floor. Suited for students who want to strike a balance between work and play, Berkeley Residences has a student lounge, a function room, and pools. For safety and convenience, Berkeley Residences has 4 elevators, an automatic fire detection and alarm system, a standby generator set, a centralized cistern tank, and a sewerage treatment plant. Near Berkeley Residences is the 4,235-sqm Blue Residences, located at the corner of Katipunan Avenue and Aurora Boulevard. 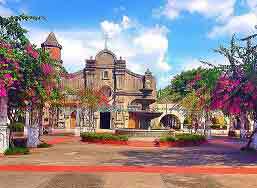 It’s also close by the Ateneo de Manila University, Miriam College, and a ride away from the University of the Philippines. It has the same 5-star features as Berkeley residences, like an automatic fire detection and alarm system, a generator set, a sewerage treatment plant, and a cistern tank. But it also has an amenity lounge, a function room, a children’s play area, pools, a student lounge, and even a roof deck lounge. In Quezon City, too, is Fern at Grass Residences with its iconic two towers featuring a modern façade. It has a sprawling playground, picnic area, and swimming pools in your very own private amenity area. The Sky Pavilion is also within the amenity area, an events venue with enough space to host events. It is complete with an outdoor spill-over area for al fresco lounging. It has a complete clubhouse and a main pavilion, where you can find function rooms for business and leisure. What’s more, there is an Olympic-sized swimming pool, an adult pool, and a kiddie pool. It also has a covered badminton/basketball court, a gym and jogging paths, and landscaped gardens and a children’s play area. Its shared amenities with Grass Residences are a wonderful lounge and main lobby, a main clubhouse, cabanas and pavilions, and water cascade features. 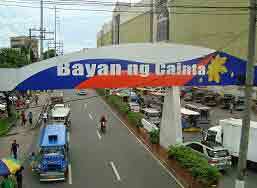 It has an exclusive Bridgeway to SM City North EDSA. It’s also near to MRT and LRT stations, Eton Centris, Ayala Technohub, and the soon-to-be-completed Triangle Park. Near Fern is Grass Residences Complex, also near SM City North EDSA with an exclusive bridge way for instant access to the mall. It hosts an array of complete sports complex amenities so you can enjoy an active lifestyle in Quezon City. Additionally, its features include 6 elevators for Tower 1, and 4 elevators for Towers 2 and 3. Like all SM Residences developments, it has an automatic fire detection and alarm system, 24-hour security, and a standby generator set for common areas and select unit outlets. It also has a centralized garbage collection area and a mailroom for your convenience. Enjoy its amenities like a lounge and a beautiful main lobby, a main clubhouse complete with function rooms, pools (Olympic-sized, adult, and kiddie), a fitness and children’s gym, a children’s play area, cabanas and pavilions, landscaped gardens, badminton courts, a covered basketball court, jogging paths, and water cascade features. At the corner of Aurora Boulevard and Araneta Avenue in Sta. Mesa is Mezza Residences, offering an easy and luxurious lifestyle. It has SM City Sta. Mesa readily accessible, as well as having your own Savemore Market, service shops, and dining options at the Mezza Strip. You can stay fit with its pool and jogging paths around the amenity deck. You can also welcome guests at the grand lobby. It has all the same features like every SM Residences development, and an additional CCTV System in key areas. It has a lounge at the 5th floor, an outdoor function area and M Bar, a function room, a fitness gym, a children’s play area, a lawn and barbecue area, and even a garden with gazebos. Also in Sta. Mesa is Mezza II Residences, a 40-storey development that is the tallest in its area, providing residents with the view of the skyline of Metro Manila. 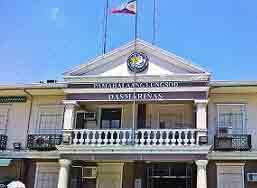 It’s nearest the LRT 2 V. Mapa Station and SM City Sta. Mesa. It has the same features of every SM Residences property, as well as an overhead water tank and underground cistern. Bask in the wonder of the Sky Lounge, swim in its swimming pool, enjoy events in the function rooms, and entertain guests in the Mezza II lobby. The perfect home from working professionals in Quezon City is MPlace South Triangle, clustered within the heart of Media City. It’s near commercial districts, health centers, and dining establishments. For leisure, enjoy access to jogging paths, fitness stations, and swimming pools. Feel like a star in your own Hollywood-themed lobbies. Enjoy shopping and convenience at the MPlace Mall on the ground floor. 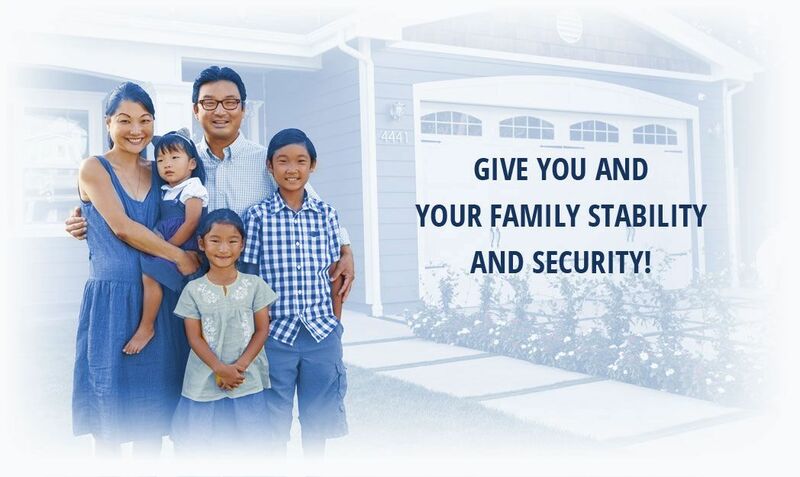 Feel safe with 24-hour security and CCTV. Be connected with WiFi Zones in selected areas of MPlace. Rest in the garden lounge and entertain kids within the children’s play area. Offering an ideal lifestyle of elegance and sophistication, Princeton Residences has hotel-inspired interiors and luxurious amenities. Right beside Princeton Residences is the LRT 2 Gilmore Station, and nearby are multiple dining options in Greenhills and Tomas Morato. Schools, commercial centers, and a hospital is also nearby. Enjoy the Sky Lounge, the function room, and its swimming pools. Entertain your guests at the ground floor lobby and the grand lobby on the seventh floor. Located at the intersection of thriving Quezon City and Manila is Sun Residences, with amenities like lounges, landscaped gardens, and swimming pools. It has easy access to schools, hospitals, and even has its own Sun Mall. With a towering 40 storeys, enjoy a comfortable life in Sun Residences. In the heart of Novaliches in Quezon City is Trees Residences, offering a hushed, peaceful neighborhood with its very own retail area within the complex. Complete with function rooms, swimming pools, a multi-purpose court, and covered walkways, you will find that you won’t have to leave home. Located within the SM City Novaliches complex is Vine Residences. With its vast, open greenery and its secluded sunken gardens, also enclosed within the gated garden community are parks, pools, fitness zones, play areas, and lounges. Additionally, it also has a Vine Nature Park with a Camp Site, eco trail, and sports grounds. In the Reposo District, Makati, with its quaint restaurants and luxe designer shops for the home is Jazz Residences, a four-tower vertical development with its very own Jazz Mall and Hypermart. It also has a swimming pool and clubhouse, a landscaped garden, a fitness area, function rooms, and a dazzling lounge and main lobbies. In Taguig, there’s Grace Residences, close to the Bonifacio Global City and Makati CBD. It’s within the proximity of top schools, hospitals, malls, and other institutions which will enable you to live the conveniences of modern, urban live. Unwind with more than a hectare of open greens and a pavilion. Stay fit with its swimming pools, basketball court, and gym. Bond with your kids at the children’s play area. Mandaluyong has two SM Residences vertical communities: Light Residences and Fame Residences. Light Residences brings you to the center of the action, as it’s located along EDSA and Madison Street, and is also linked to the Boni-EDSA MRT station. It has urban conveniences with its very own light mall, digital cinemas, and its very own Savemore Market. Fame Residences also has the multiple features and amenities that SM Residences vertical communities has to offer. Along Meralco Avenue in Ortigas is Shine Residences, standing tall within a prestigious community labeled the Renaissance Center. 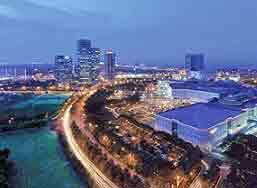 It has entertainment, business, and leisure sports within close proximity. Be welcomed with its distinct grand lobby, and take pleasure at the leisure pull. It even has selected WiFi zones! 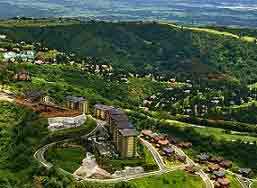 Enjoy privileged southern living in Tagaytay with Cool Suites and Wind Residences. Experience the cool Tagaytay breeze in the newest garden complex in the Wind Residences estate, Cool Suites. It has lush foliage and greenery which can be a private retreat from work where you can relax and recover. It has the same SMDC signature 5-star amenities, and it even has a pathway with a trellis and a jogging/walking trail. 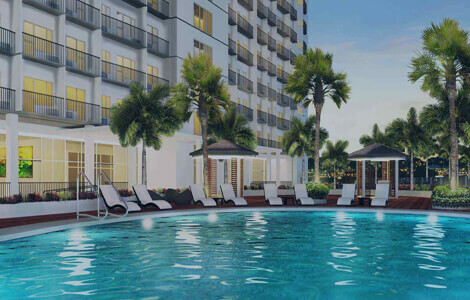 Experience a vacation at your own condo with Wind Residences, with its country club amenities like the clubhouse, indoor and outdoor swimming pools, tennis court, and basketball court. Take in the views of the Taal Lake and the Metro Manila skyline, as well. Conveniently located right in MacArthur Highway is Cheer Residnces, which has a clubhouse, swimming pool, and lovely landscaped areas. It’s a luxurious, elegant, yet affordable home for people who seek comfort and convenience at every angle. Additionally, it’s also the first vertical development in the area that offers a mall, SM City Marilao, within the complex!